Scotland’s Emergency Medical Retrieval Service (EMRS) saves lives by providing critical care and safe transfer to definitive treatment for patients in remote healthcare locations and at accident scenes. The team is ready to respond by helicopter, plane or fast response vehicle within minutes of activation. Our aim is to provide equity of access to life saving care irrespective of the patient’s location. The service is funded by NHS Scotland. Welcome to the new website of Scotland’s Emergency Medical Retrieval Service. Our multi-award winning App led the way integrating mobile technology with Prehospital & Retrieval Medicine. Following the success of the EMRS pilot the service was rolled out to provide national service in 2010. 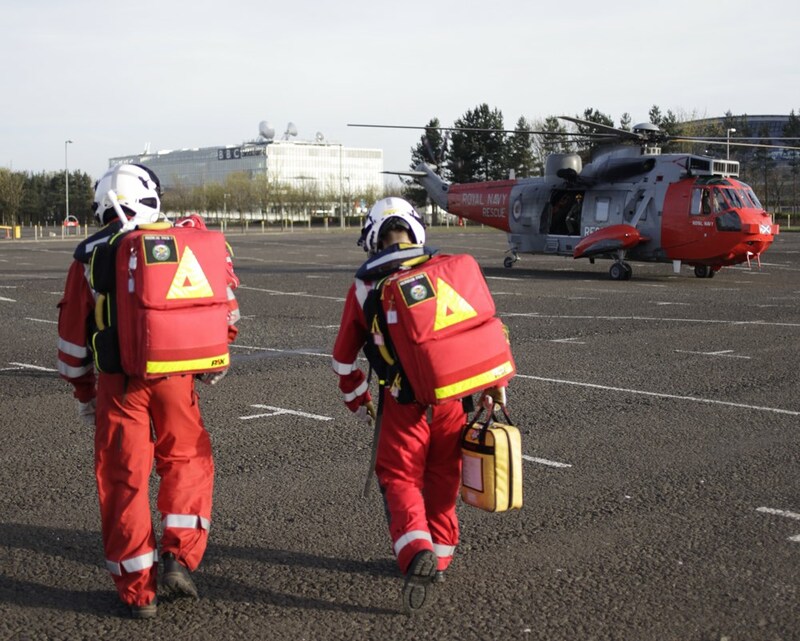 Scotland’s Emergency Medical Retrieval Service (EMRS) saves lives by providing critical care and safe transfer to definitive treatment for patients in remote healthcare locations and at accident scenes. Consultant and Retrieval Practitioner delivered aeromedical retrieval from rural health care facilities throughout Scotland. With 27 (9 whole time equivalent) retrieval consultants, six retrieval practitioners and two registrars the service now undertakes 1000 retrieval missions per year. Seriously ill and injured patients require early critical care interventions and rapid, safe transfer to a centre capable of providing definitive surgical and intensive care. The survival and functional outcome of these patients is dependant on the timeliness of these interventions to stabilise airway, respiratory and circulatory compromise. The provision of emergency care and safe transfer of these patients, difficult in large urban hospitals, is extremely challenging in remote and rural environments. The internationally recognised solution to the challenge of providing the rural population with equity of access to critical care is a centrally located, dedicated aeromedical retrieval service. In 2004 a group of ten volunteer consultants based in Glasgow and Paisley started Scotland’s Emergency Medical Retrieval Service. With just £40 000 of funding for equipment, the original service covered six rural hospitals in Argyll and Bute. In its first year EMRS retrieved forty patients. Over the following few years the team built up clinical evidence of the life saving benefits and cost effectiveness of rural retrieval service for Scotland. The consultants developed their own service model and business plan. The service gained support from the rural population, rural clinicians, the media and from politicians. In 2008 the Scottish Government funded an 18 month extended pilot of the service covering the West of Scotland. An independent service evaluation was resoundingly positive, demonstrating value for money and life saving benefits of critical care retrieval. EMRS was awarded permanent funding and expanded to the full country in 2010. In April 2014, EMRS became part of ScotSTAR, the national specialist transport service, with the Scottish Ambulance Service, Paediatric Retrieval Service and Neonatal Transport Service. As well as providing retrieval of critically ill and injured patients, the EMRS has worked with local healthcare practitioners to improve educational opportunities relating to rural emergency care. The service has also developed a world leading reputation for research relating to critical care retrieval and in the education and training of specialist and advanced retrieval practitioners.